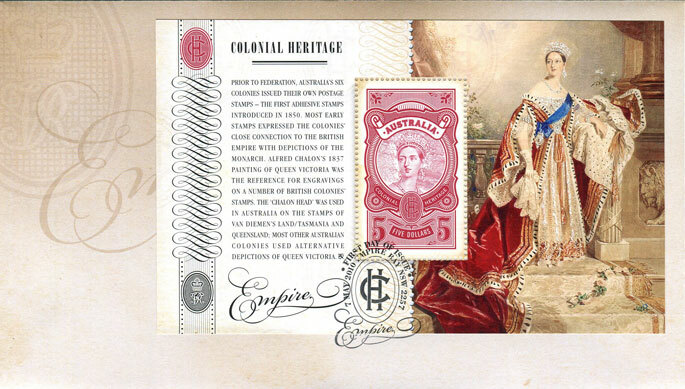 The first in a series of four miniature sheets promoting Australia 2013 (see www.australia2013.com.au), this miniature sheet celebrates the stamps of Australia's six colonies. The stamp and miniature sheet are printed on paper with a simulated 'CH' monogram. 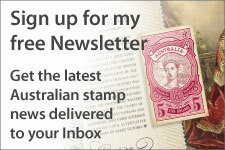 Australia Post will be using three printers with this issue - Energi Print, RA Printing and Kemwell Speciality Printing. This is the last stamp printed by Energi Print, and the first for New South Wales based Kemwell. Interestingly the last time a New South Wales based printer was used was in 1977! 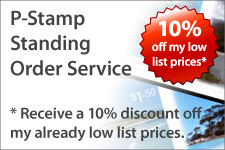 The sheet stamps are printed by Energi Print in sheets of 10. 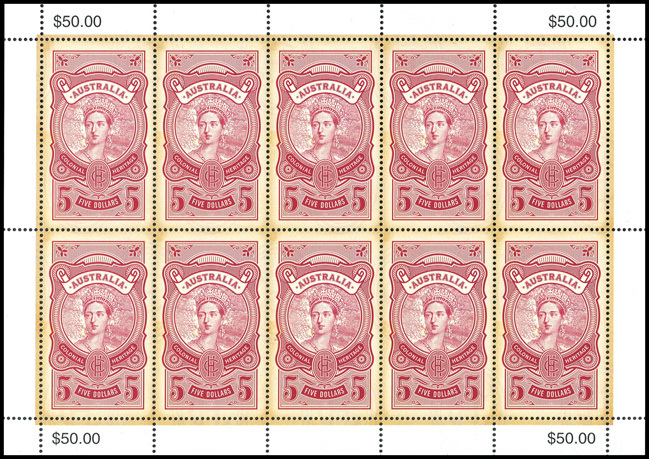 This issue is produced in small sheets of 10 stamps (5 x 2). 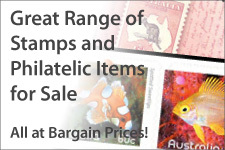 Australia Post has confirmed that the miniature sheet will be printed by RA Printing. This is RA Printing's first commemorative issue for Australia Post. Stamps from the miniature sheet can be easily distinguished by the thicker line art around the portrait. 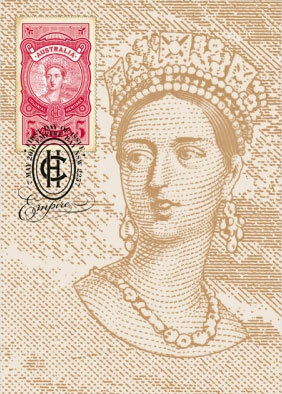 Miniature sheet stamp	 Line art around Queen Victoria's portrait is thicker on miniature sheet stamp. 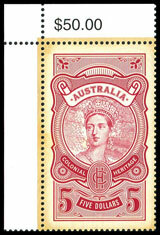 The miniature sheet contains a 30 mm x 50 mm stamp featuring the Chalon head. 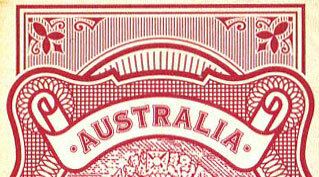 As with the Kokoda issue, miniature sheets had to be trimmed to allow for fixing onto first day covers. This time 2.5 mm was trimmed from the top and bottom of each sheet. 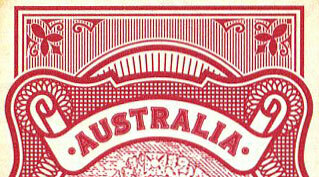 This results in one less printed 'perforation hole' above and below the stamp. 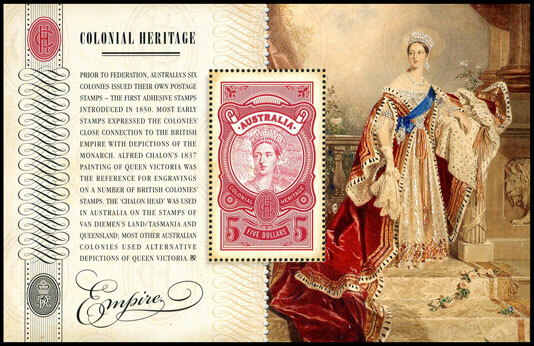 To support Australia 2013, Australia Post will also release a limited edition version of the miniature sheet. Limited to 10 000, this miniature sheet will be sold in a pack for $15, with the stamp printed in both lithography and intaglio. 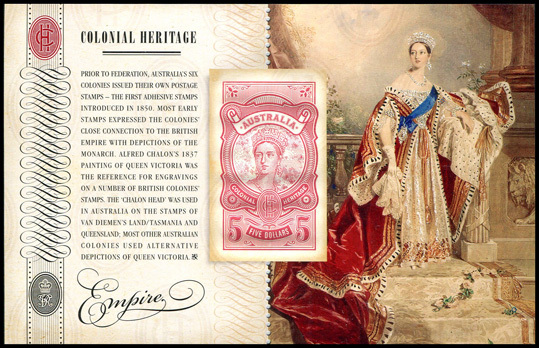 To support Australia 2013, Australia Post will also release a limited edition version of the miniature sheet. Limited to 10 000, this miniature sheet will be sold in a pack for $15, and will be printed in both lithography and intaglio.